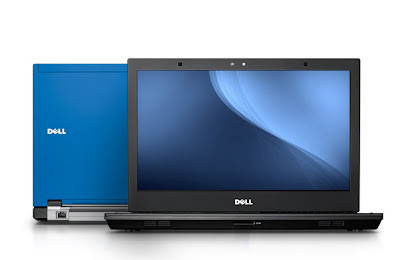 Dell recently outed the details of its upcoming new Latitude Laptop, named Latitude E4310.The new Dell Latitude E4310 Business oriented Laptop comes built in a thin and light form making it easier to carry with you in your everyday travell. The all new Dell Latitude E4310 Business notebook features Dell's Latitude ON technology that provides the user to access e-mail, contacts and calendar facilities without the need of boot up. Dell Latitude E4310 Laptop packs a 13.3-inch WLED Anti-Glare LED Display with a resolution of 1366x768 pixels and is powered with processor options including either an Intel 2.53GHz Core i5-540M or a Intel 53GHz Core i5-540M(both features 3M cache).The Latitude E4310 Laptop includes a Intel Mobile QS57 Express Chipset and a Intel HD Graphics card. The new Dell Latitude E4310 Laptop houses DDR3 SDRAM memory with a supporting capability of up to 8GB DIMMs in the provided 2 RAM slots and either a 500GB HDD or a 256GB SSD as storage options.Other features of the new Dell Latitude E4310 Business notebook includes Stereo Speakers, 802.11 Wi-Fi, Dell Wireless 375 Bluetooth, Gigabit Ethernet, DVD-ROM/DVD+/-RW/Blu-Ray, Integrated microphone, Dual pointing keyboard and the optional availabilities includes Fingerprint reader, backlit keyboard, 2.0 Mega pixel webcam and UWB radio. The battery options that comes with Latitude E4310 notebook includes either a 3-cell or a 6-cell battery.The laptop has a dimension of 323mm 26.5mm 215mm (WHD) and weighs about 1.54 kg.The laptop comes pre-loaded with Windows 7 Professional OS. Even though the price details of Dell Latitude E4310 Laptop is yet to be outed we expect a price tag that starts over $1,100.